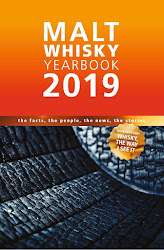 This whisky is part of a new annual limited edition programme for the three Scotch brands of Distell - Bunnahabhain on the isle of Islay, Deanston in the Highlands and Tobermory on the isle of Mull. 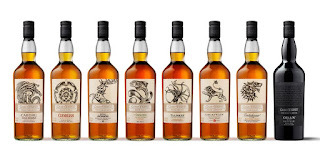 The programme has been named 'The Malt Gallery' and the first set featured two expressions from Bunnahabhain and Ledaig (the peated version of Tobermory) and one each from Deanston and the classic style of Tobermory. The two Bunnahabhains were a 2008 Mòine Bordeaux Red Wine Cask Matured and this 20 years old Palo Cortado Sherry Cask Finish, with both cask types rarely used to mature single malts. 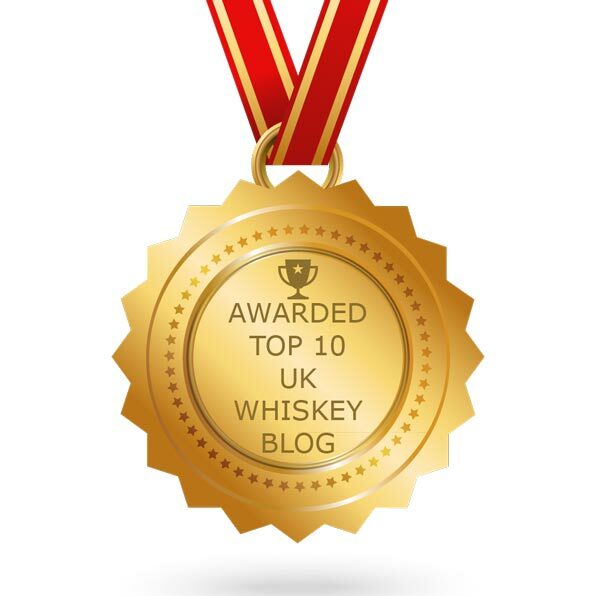 The Deanston was a 2008 Brandy Cask Finish. The two peated Ledaigs were both distilled in 1998 and bottled at 19 years old - one an Oloroso Sherry Cask Finish and the other a Pedro Ximenez Sherry Cask Finish. The classic Tobermory was 12 years old and a Fino Sherry Cask Finish, which is again another rare cask type. 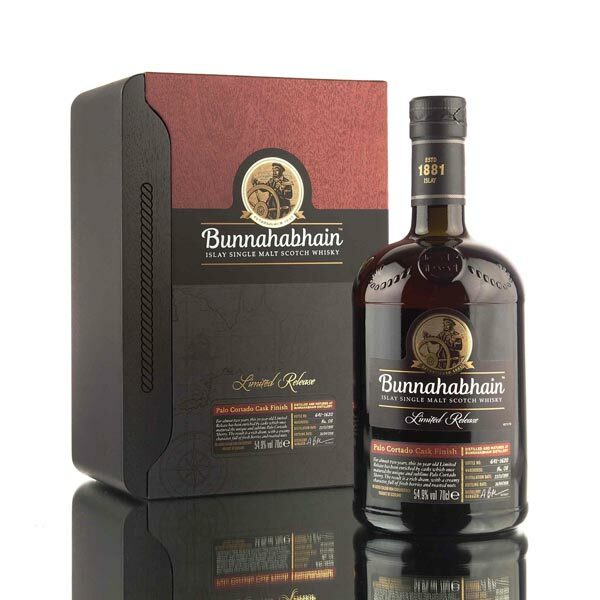 This Bunnahabhain 20 years old Palo Cortado Finish is bottled at the natural cask strength of 54.9% ABV and is non chill-filtered. It was distilled in November 1997 and bottled in April 2018, after almost two years of finishing in the Palo Cortado casks. Due to its limited nature and Autumn release, the majority of the 1,620 bottles are now sold out. A few retailers still have bottles in stock. The original recommended retail price was £275. The colour is golden yellow and the nose has a richness and freshness to it. First come robust aromas of malted cereals, caramel and mixed nuts (especially walnut and brazil nut), which are followed by further aromas of burnt brown sugar, golden syrup, cinnamon and baking spices, sultanas and a pinch of cocoa powder. On the palate this whisky has plenty of punch coming from the high ABV, but quickly softens to reveal a sumptuous range of flavours. Initially there are influential notes of caramel and toffee, backed up by some dried apple and sultana. There is a delicious earthiness also, which tends towards warming baking-type spices with time (think of cinnamon, all-spice, ginger powder and a touch of clove). Then further golden syrup-like sweetness and the nutty quality from the nose, which adds a dryness and hint of bitterness. There is a distinct hit of walnut with hints of almond, hazelnut and brazil nut. There are also distant notes of cocoa powder, earthy bonfire smoke, brine and menthol/eucalyptus that add complexity and depth. The finish is long and enjoyable. There is plenty going on with the sweet elements lasting well, before giving way to the robust malty, earthy and spicy characteristics. These create a lingering dryness and warmth, which gives the whisky a superb balance. This Bunnahabhain is a stunning whisky and one that makes you wonder why more brands do not use ex-Palo Cortado sherry casks for maturation. Of course, one reason is their rareness and unpredictability as the style of sherry is accidentally produced. 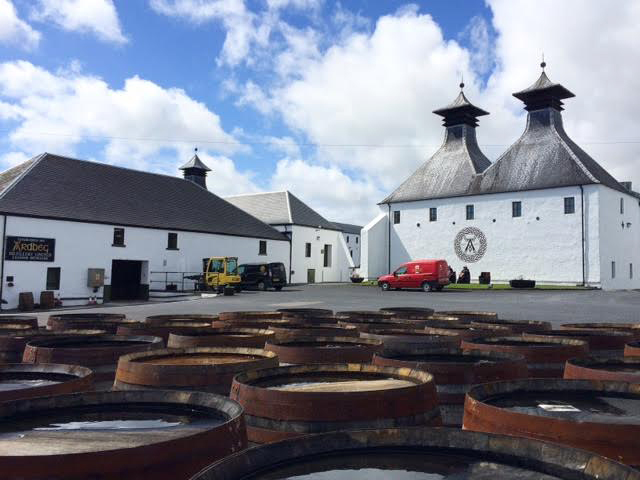 Here they have helped to create a wonderful whisky that is full of flavour, character and balance. Definitely one of the best whiskies that we have sampled recently. 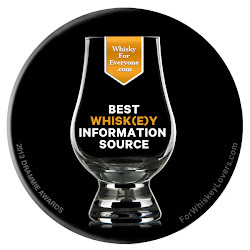 We urge you to find a bottle while you can, if you are interested.